Smart-Growth Challenge: Can the transportation plan for a historically auto-centric region be re-imagined to include all users? 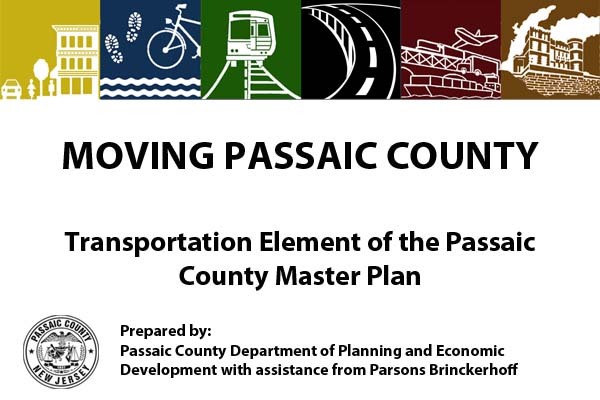 The transportation element of the Passaic County master plan was last visited in 1982. 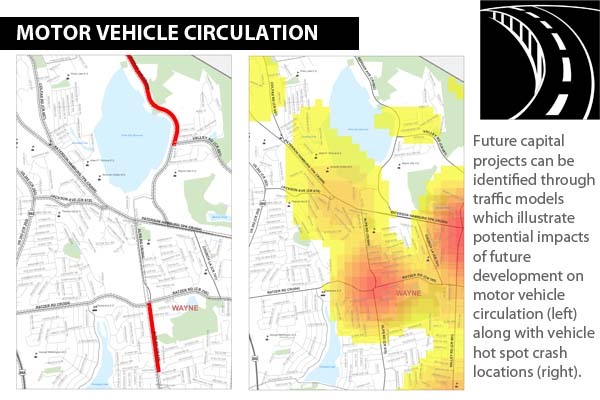 Since that time, significant population shifts and changes in employment patterns have occurred, creating more road congestion and increasing demand for better connections between where people live and where they need to go. 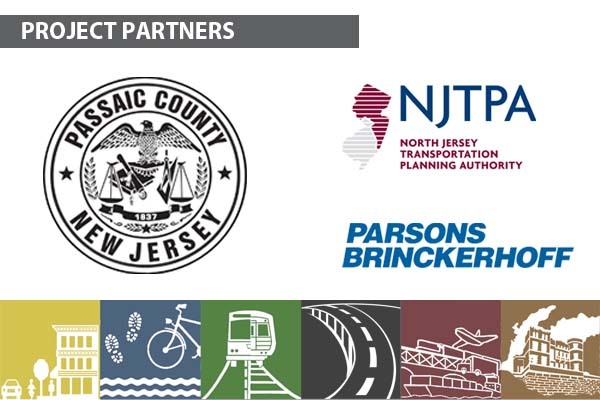 Through a grant from the North Jersey Transportation Planning Authority, the county was able to update the transportation element so that it can serve into the future as a blueprint for an integrated, multi-modal transportation system. 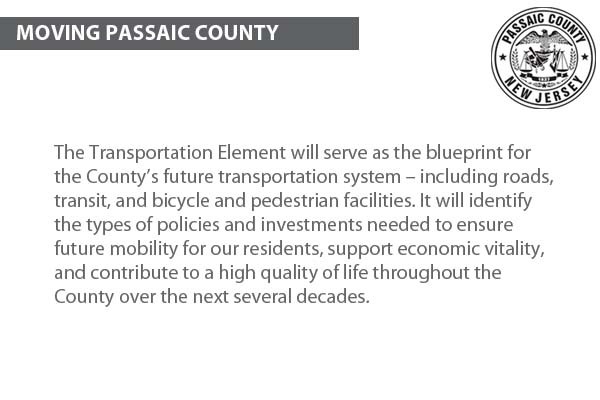 The plan outlines a vision for a more cohesive system that maximizes investment, promotes efficiency and provides greater choice. 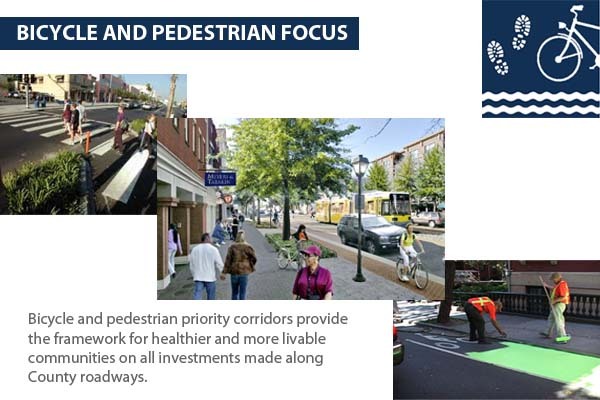 Its recommendations reflect the priorities of local, state and regional stakeholders, along with strategies that support economic growth, environmental sustainability and the mobility needs of all users. 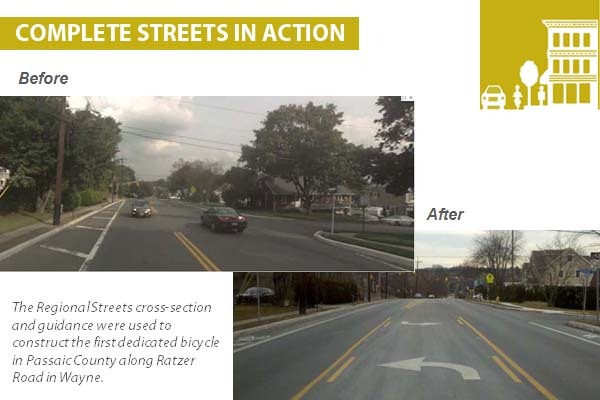 It addresses key smart-growth principles, including Complete Streets and public transportation, and it integrates with other plans, including municipal master plans and specialized plans such as the scenic and historic byways plan. It also includes elements of green infrastructure to control stormwater runoff. To coordinate with municipal and regional planning efforts, the county reviewed local master plans and regional visioning plans to identify existing employment, housing and recreational centers and to develop specific service and facility recommendations in order to increase access to these key sites. Public involvement was an integral part of determining land use and transportation needs. 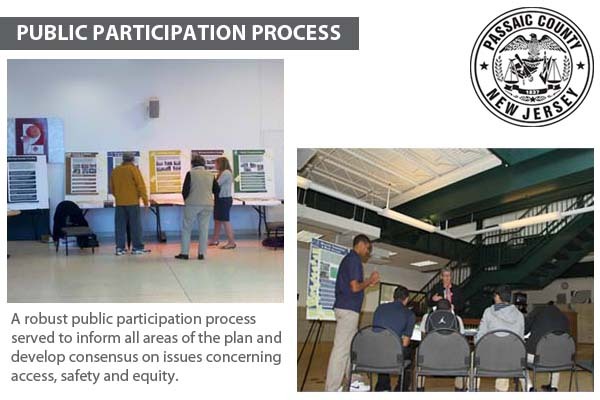 Two rounds of public open-house meetings were conducted at eight sites covering rural, suburban and urban areas of the county, and offered an opportunity to test the key themes of the plan. Special sessions were also arranged to solicit feedback from local elected and appointed officials, high school students, older drivers and transit-dependent seniors, and students at the two colleges in the county. 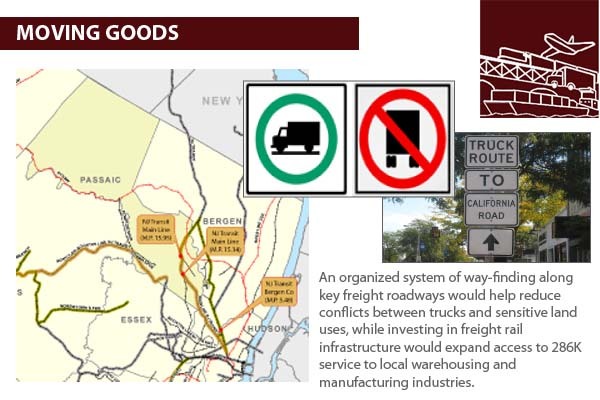 Phone interviews were conducted with large employers in the county so they could help identify transportation improvements that would fuel economic growth. 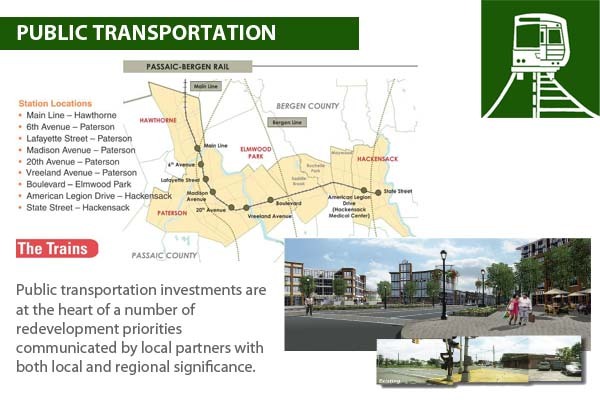 The two biggest challenges to developing the plan were a) coordinating with required engineering specifications to ensure that what was envisioned was both flexible and feasible enough to be realistic; and b) the fiscal challenges surrounding investments in transportation. Meeting both those challenges helped keep the plan as realistic and efficient as possible. 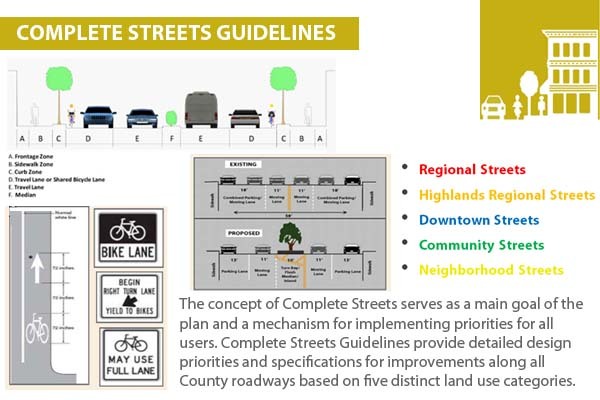 Moving forward on implementation, the county is finalizing a Complete Streets policy to guide all transportation capital improvements, and the plan’s recommendations have been included in several grant applications from various municipalities for transportation project funding. 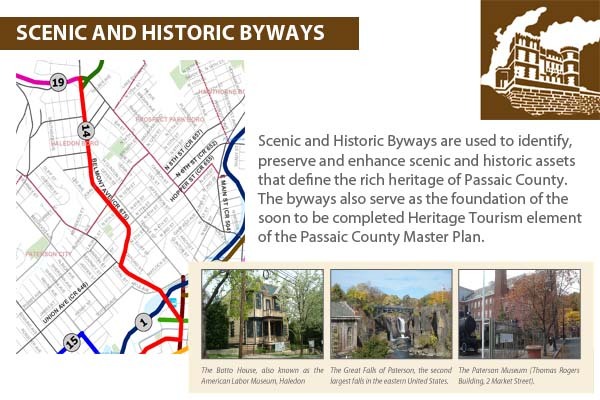 The Scenic and Historic Byways section of the plan is being used as the foundation for work currently underway to create a heritage-tourism element of the Passaic County master plan. 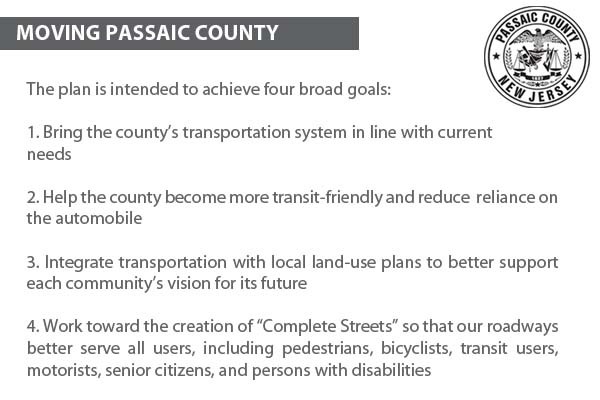 And the vision outlined in the plan will be used to coordinate all communication on the Together North Jersey regional plan for sustainable development funded through the U.S. Dept. of Housing and Urban Development.